Occupational Health and Safety Management System New! 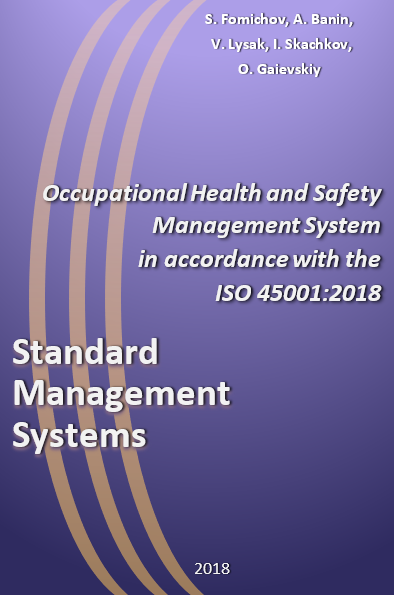 The book is aimed at providing readers with knowledge and understanding of the requirements of the ISO 45001:2018 standard and the ability to independently develop the organization's occupational health and safety management systems. Practical focus is the main feature of the book. When writing the textbook, we have incorporated over 20 years of authors’ experience in developing, implementing and bringing to certification of ISO 9001, ISO 14001, ISO 45001 standard management systems. The textbook materials are based on the actual implementation of the OH&S enterprise management system. Understanding and implementation of all ISO 45001:2018 requirements. Quality Management System PDF preview Buy now!